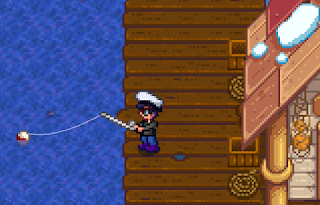 Stardew Valley’s mechanics battle for importance constantly, but probably the most important facet of game play overall is Energy. Energy dictates how much you can do on any given day, and if you run out of Energy your day is done. Consequently, it pays to find ways to extend your Energy meter as much as you can. That’s where Stardrops come in. Stardrops are exceedingly rare items that increase your Energy meter by an appreciable amount, allowing you to work harder on any given day. Sounds like a great deal - only Stardrops are exceedingly rare. There are only a handful in the game, and you need to work pretty hard to get all of them. We’ll look at the methods of snagging Stardrops below. Throughout the course of the game you can woo and marry one of the ten bachelors and bachelorettes of Stardew Valley. 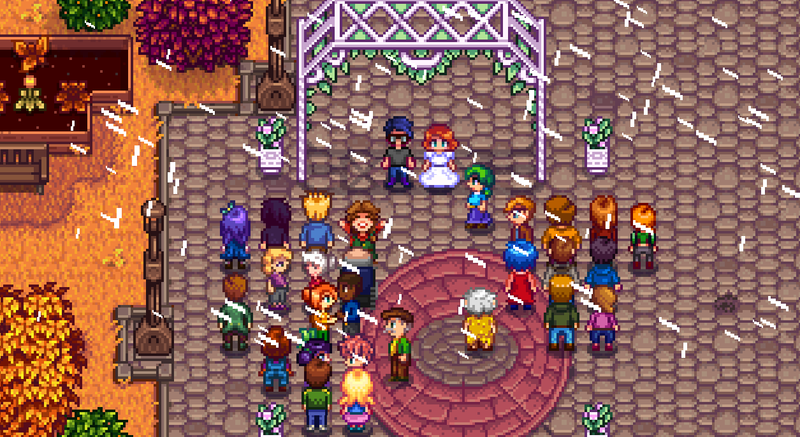 They will move to your farm after marriage, and if you continue to give them gifts and speak to them every day they will, eventually, give you a Stardrop as a show of affection. You need to get their affection to twelve hearts and then keep giving to trigger this gift. The Stardew Valley Library & Museum accepts donations of Minerals and Artifacts throughout the game. If you manage to collect and donate one of every Mineral and Artifact, totalling 105 donations, you’ll receive a Stardrop. Once you’ve donated sixty Artifacts and Minerals to the Museum you’ll receive a Rusty Key in the mail. This Key can be used to unlock the Sewer, beneath Pelican Town. 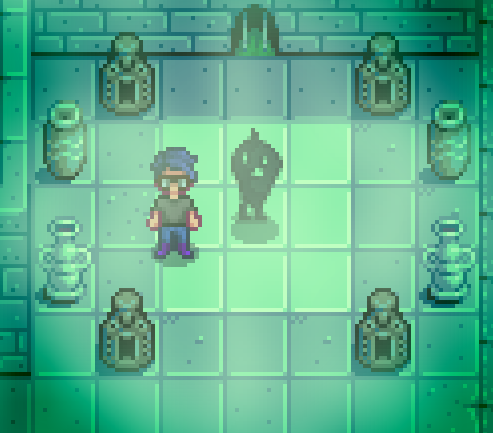 Inside you’ll meet an odd, shadowy creature named Krobus who will sell you a Stardrop for 20,000 gold. In the northeast of Stardew Valley you’ll find the Mines, a dungeon full of valuable items and deadly enemies. If you manage to survive long enough to reach the 100th floor (which will probably take quite a few visits) you’ll receive a Stardrop for your efforts. 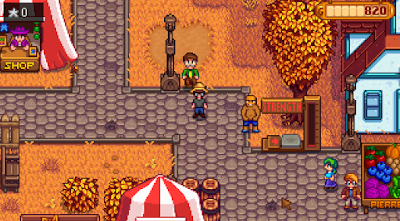 Every year on the 16th of Fall you’ll have the opportunity to participate in the Stardew Valley Fair, and during the Fair you can win Star Tokens for completing mini games and displaying your goods. If you manage to collect 2,000 Star Tokens you can turn them in for a Stardrop. If you explore the forests west of Marnie’s Ranch, just north of the Wizard’s Tower, you can find a fallen log blocking a side path. Chop it up (you’ll need at least a Steel Axe to get through) and you’ll find the Secret Woods, home of a few Slimes and an odd, gloomy-looking statue. Give the statue a Sweet Gem Berry and it will grant you a Stardrop. 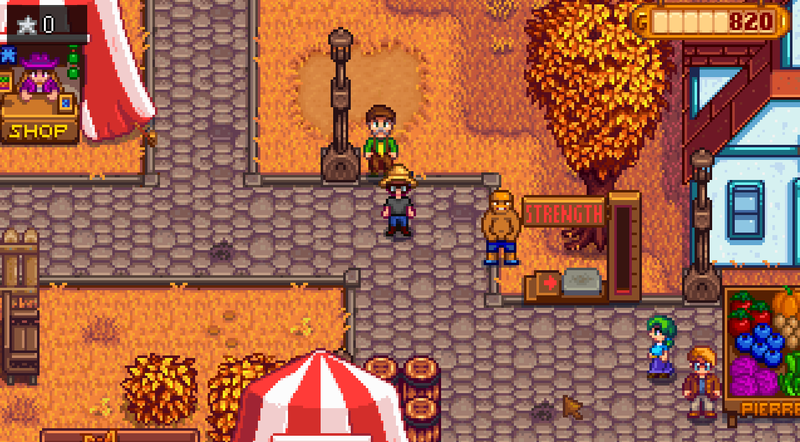 You can buy Sweet Gem Berries for 14,000 gold (randomly) from the random cart vendor who shows up on Fridays and Sundays, a short trip northeast of the Secret Woods. Alternately, you can buy a Rare Seed from this same vendor for significantly less, then grow it during Fall. It takes over twenty days for this Seed to grow, so you’ll want to plant it during the first two or three days of Fall to ensure it will grow before the season’s end. 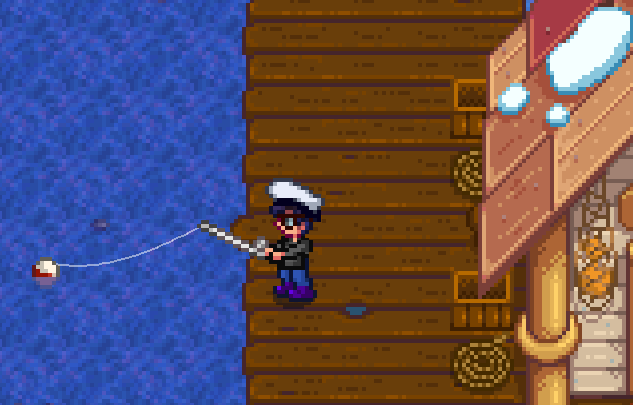 If you manage to catch every fish in Stardew Valley you’ll receive the Master Angler achievement. The next day you’ll get a letter from Willy that contains a Stardrop.